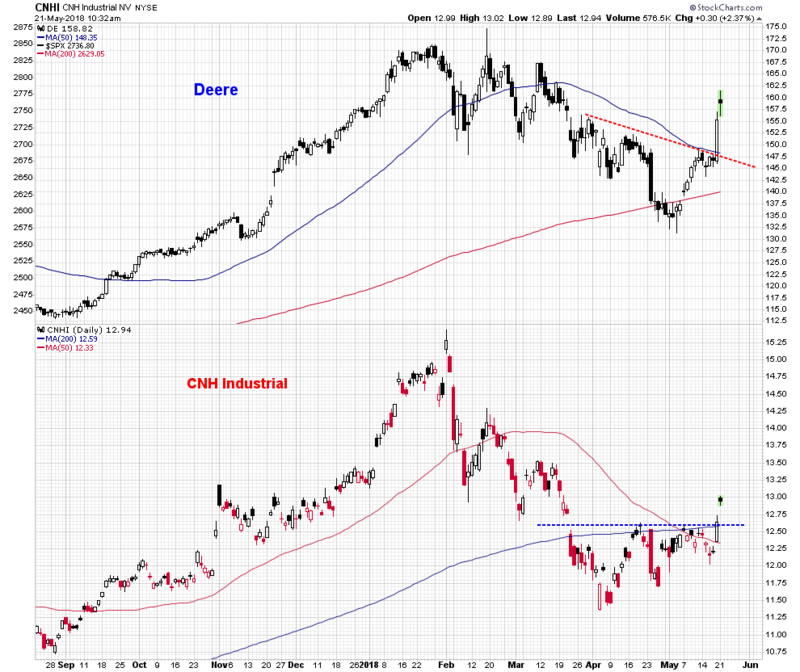 The agricultural equipment stocks are breaking out of intermediate term consolidation patterns. 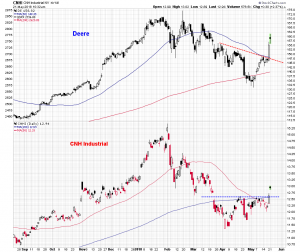 Deere had been trading in a downward facing inverse head and shoulders pattern. The neckline of the pattern corresponded with the 50 day moving average and the head found support at the 200 day average. A big move on Friday took out neckline resistance and the stock is seeing good follow-up price action early in today’s session. 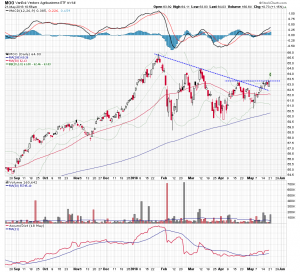 Price action over the last two months in CNHI formed a triangle pattern below horizontal resistance in the $12.60 area. It is breaking above that resistance decisively in trading this morning. Finally, here is a chart of the VanEck Vectors Agribusiness ETF (MOO) which includes DE and CNHI along with stocks like Monsanto (MON), Archer Daniles Midland (ADM), Tyson Foods (TYN) and IDEXX Laboratories (IDXX). This fund is quietly up 60% since its low in 2016. 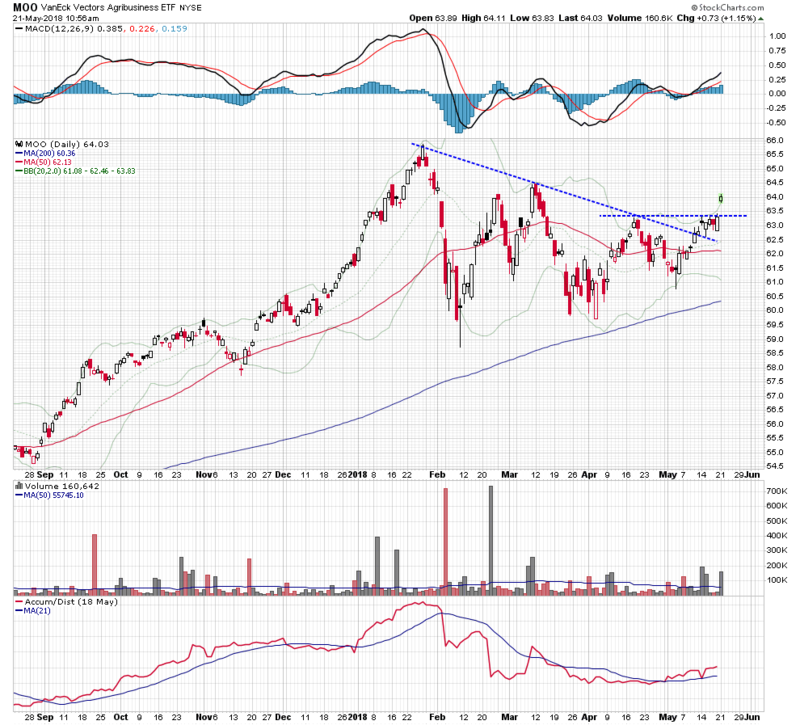 It has been consolidating in a large triangle formation this year, but now it looks like it is ready to return to its primary long term uptrend.